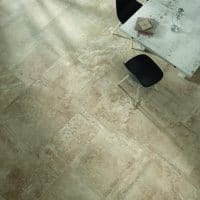 Taking your kitchens, conservatories, additional sitting rooms, and their connecting outdoor spaces one step further, functional indoor and outdoor tiles from Atlas Ceramics will completely revamp your renovating adventure. Whether you are looking to create a modern concrete effect, a porcelain spread, or even a colourful fiesta, our range of versatile indoor outdoor tiles seamlessly transition and connect these spaces to create a cohesive design sensibility. These tiles are hard-wearing with low-porosity, weather-resistant, anti-slip, and colour fast; you can enjoy your new updated look without worrying about their maintenance and life. Usually available in large sizes which you can combine with matching accents, indoor outdoor tiles are easy to lay on to pedestals or chippings, and work equally well for balconies and roof terraces. Strong enough to withstand damage and scratches from footfalls or heavy patio furniture, indoor and outdoor tiles breathe a new lease of life to traditional surfaces. 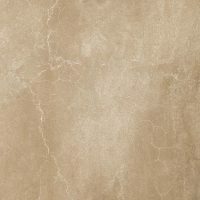 The range of these tiles at Atlas Ceramics is extensive and will suit every budget and space no matter how big or small. Finally, do check out our installation gallery if you need more inspiration! A perfect example for this is our 2cm tiles. 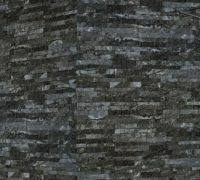 Designed for both exterior and interior due to its thickness of 20mm (2cm), these hardened and well-looking tiles can withstand all weather conditions. Tiles are now very popular in the home decorating market with tiling any floor a widespread choice. People often ask us about the difference between tiles for the inside and tiles for the outside of their house. Generally speaking, you need to use different tiles on the outside to those inside your home. However, these indoor & outdoor tiles are the exception to that rule. Our indoor & outdoor tiles are available in a wide range of colours, sizes and finishes making it easy for you to achieve any look to enhance your home. Whether you are looking at a full-scale renovation or a revamp of your indoor and outdoor space, this range is the perfect choice. You have probably noticed in all the home design magazines and tv programmes, that interior designers use many different tricks to make rooms appear larger. The use of flooring is a great way to achieve this. Especially in adjoining rooms. Imagine a hall with a connecting kitchen and living room. How would it look with a wooden floor in the hall, tiles in the kitchen and a carpet in the living room? It would appear disjointed and broken up. Now imagine the same space with the same flooring throughout. This space would now appear larger and brighter and your home would appear more seamless. This method can also be used very successfully on the flooring of your inside and outside areas. This seamless transition worked so well inside the home that it became a popular look outside as well. It is extremely popular in warmer climates and has now become more widespread here in the UK. It allows you to join your living space to your garden space in a continuous flow. If you use the same interlocking flooring option both inside the house and outside, you appear to have a much larger space. To create a flow between the house and the outdoor area, people started using very similar tiling. So, the look appeared seamless. We have made this much easier with our range of indoor & outdoor tiles. 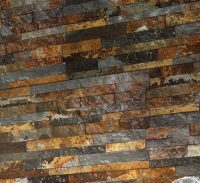 What Are Indoor & Outdoor Tiles? Our indoor & outdoor tiles give you the best of both worlds. Not only do they look stunning in your home, but they look beautiful outside too. They will give you a perfectly coordinated look from your house to your outside area. Please ensure you don’t use normal inside tiles in your outside area. These tiles are specially designed for both interior and exterior use and are 2cm thick. Here at Atlas Ceramics, our range of versatile indoor & outdoor tiles seamlessly transition and connect your inside and outdoor spaces to create a cohesive design sensibility. These tiles are strong enough to withstand damage and scratches whether it be from heavy traffic or heavy patio furniture. Wherever you use them, our indoor and outdoor tiles breathe a new lease of life to traditional surfaces. Whichever of your rooms connect to an outside space, you can be sure that our indoor & outdoor tiles will still look great. Whether it is your kitchen, conservatory or a living area that leads to the outdoors, your tiling will not look out of place inside. You can even use our indoor & outdoor tiles in your entrance hall if you wish to link visually to the outside space at the front of your home. However, you don’t need to use the same tile throughout to achieve a coordinated look. A similar look and feel will achieve the same aim. You can work with existing flooring whether inside or outside your house. If you are considering tiling the outside area of your home, you need to ensure the tiles you select are extremely durable. Think about the wear and tear that the space outside of your home is subjected to on a daily basis. Even if you don’t have children to prance up and down outside, you have people walking on the surface wearing anything from hobnail boots to the highest of stiletto heels. Add in the amount of garden equipment that is dragged backwards and forwards and you realise that this outside space suffers from a lot of activity. You also need to consider the weather. Although it doesn’t reach the temperatures of other countries, both high and low, our weather here in the UK is still pretty extreme. Your tiles will be exposed to sunlight and high temperatures, plus heavy rain, snow and ice. Non-slip tiles are going to be particularly useful in this instance. You need have no worries about the nature of our tiles when you use them outside. They are hard-wearing with low-porosity, weather-resistant, anti-slip, and are colour fast; you can enjoy your new updated look without worrying about their maintenance and life. Don’t think you will be constrained to plain or boring themes when using our indoor & outdoor tiles. This tiling choice will allow you to achieve almost any look you can think of. Whether you are looking to create a modern concrete effect, a cool porcelain spread or even a European themed fiesta of colour complete with decorative mosaics, our range of versatile indoor & outdoor tiles will work equally well. Plus, you will have the added benefit of a cohesive design both inside and outside the house. Not only can these hardened and attractive 2 cm thick tiles withstand all weather conditions, but they also come in a range of finishes. This means you have a wide variety of looks you can embrace. The stone effect tile looks great in any room and outdoor. These tiles are popular in conservatories and on the patio but when used in your kitchen will lend a rustic charm to the room. Choosing a patterned tile will give you a vast array of design options and you can really express your individuality. You can try big and bold patterns outside on both the wall and floors, or use a fairly traditional and neutral style. Whichever you choose, our patterned tiles will create a stunning impact in your rooms and your outside space. Victorian style tiles can often provide this looking, especially when used for paving alongside greener areas. These outdoor tiles will allow you to achieve the luxurious look and feel or real marble but without the price tag. This doesn’t mean that you can only have cream or white tiles though as they are available in many neutral colours. Tiles with a subtle texture are perfect for both indoors and the outside area. These tiles have a layered look which works well in large spaces due to the definition and interest they provide. These are quality tiles that give you the look and feel of a wood floor but without the maintenance and upkeep that a wooden floor needs. These are a great compromise between appearance and easy maintenance. While many opt for decking, it can be slippy and require maintenance every few years. The advantage of using tiles are that many are anti-slip. 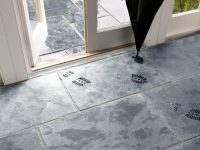 If you’ve got young children playing sport outdoors on the patio, or you host many social occasions, these ideal slip resistant tiles will give you the confidence that your investment is well worth choosing over a traditional raised deck. With these rustic tiles, you can create a homely feel to any room. They work extremely well in the kitchen though. Especially if you are after a traditional cottage kitchen look and feel. Matt tiles are a great option if your home is very busy. This matting finish is great for hiding spills and stains when you don’t have time to clean constantly. This look is very low maintenance but allows you to create a natural or rustic space. Any of these finishes will allow you to transform your inside and outside area, and they can be combined to achieve your own individual look and feel. Hopefully, you have been motivated by our advice on using Indoor & Outdoor tiles. Our range of these tiles at Atlas Ceramics, Hampshire is extensive and will suit every budget and space, no matter how big or small. Browse some of the tiles and prices on our online shop for inspiration. 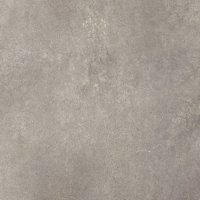 We have a range of different finishes in a vast array of colours, have various on going deals and can offer samples on the majority of out tile options. Don’t be afraid to ask for our advice, or check out the installation gallery for suitable inspiration and a selection ideas.